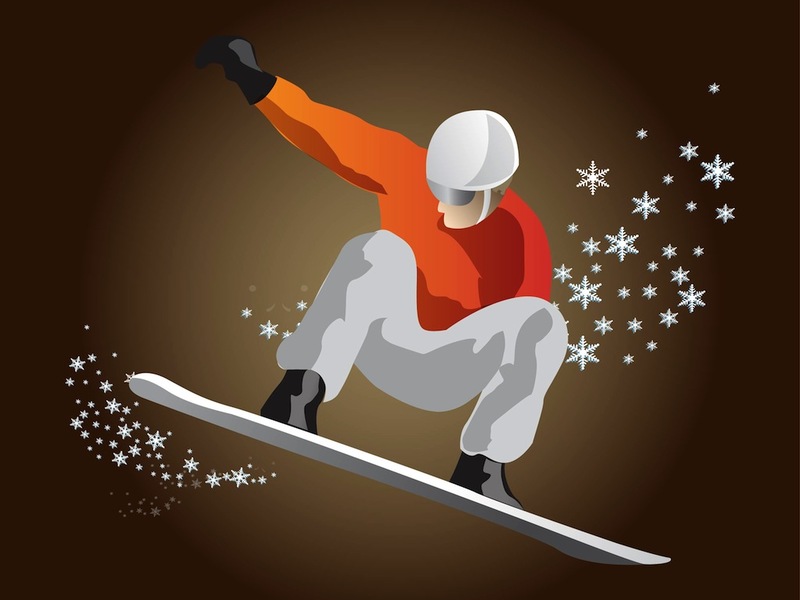 Vector illustration of a man performing stunts and jumps with a snowboard. Snowflakes around the board, sports clothing and protective headwear and glasses on the man’s head. Free vector illustration for all winter sports, extreme physical activity, hobbies and adrenaline design projects. Tags: Extreme, Hobby, Man, Snow, Snowboarder, Snowflakes, Sport, Winter.